McElroy Metal's Standing Seam Installer Training program is designed to educate participants in the practice of installing the standing seam roof products that we manufacture. McElroy Metal's mission is to provide an in depth and meaningful program to educate the participants in several areas: to make sure that they understand the relationships of all the components of our roof systems how our components work together and how to correctly install a weathertight and reliable roof system. If our customers have a sound understanding of our products and their applications, their proficiency will increase and they will install roof systems more timely and accurately. When our products are applied properly, our customers and McElroy Metal enjoy greater customer satisfaction and profits. This Certification class covers all McElroy Standing Seam product lines. 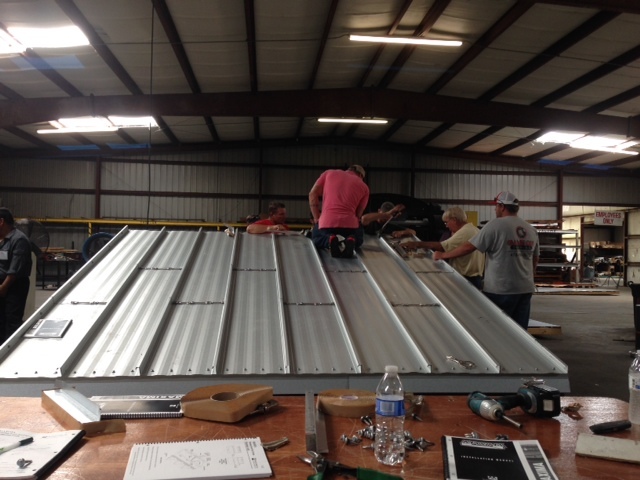 McElroy Metal's Standing Seam Installer Training program is designed to educate participants in the practice of installing the standing seam roof products that we manufacture. McElroy Metal's mission is to provide an in depth and meaningful program to educate the participants in several areas. These areas include making sure that they understand the relationships of all the components of our roof systems, understanding how our components work together and how to correctly install a weathertight and reliable roof system. When installers have a sound understanding, their proficiencies and abilities increase. When our products are applied properly, our customers and McElroy Metal enjoy greater customer satisfaction and profits. This certification class covers all McElroy Standing Seam products. It is not the objective of this training seminar to teach common trade practices, tool usage, material unloading and handling, material safety, safety practices, or OSHA compliance. Participants are expected to arrive at the training seminar with certain prerequisite skills and knowledge. Read the section labeled "Prerequisite Skills and Knowledge" for the specific participant qualifications. 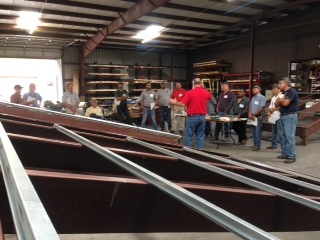 McElroy Metal's Standing Seam Installer Training is a two-day event that includes lecture with visual support, hands-on product application training, testing and other activities. Classes are held at the Bossier Facility as well as throughout the country. A sample itinerary is listed in this brochure that will describe a typical session. There will be several mock-ups where each participant actually experiences every key application procedure - installing back-up plates, panels, clips and trim. Every participant will perform every step and have an opportunity to operate our Maxima System seamers as well as our 238T Seamer. Follow up written exam, in English, to measure training retention. All students are expected to have the appropriate skills, knowledge and proficiency needed for roofing installation. 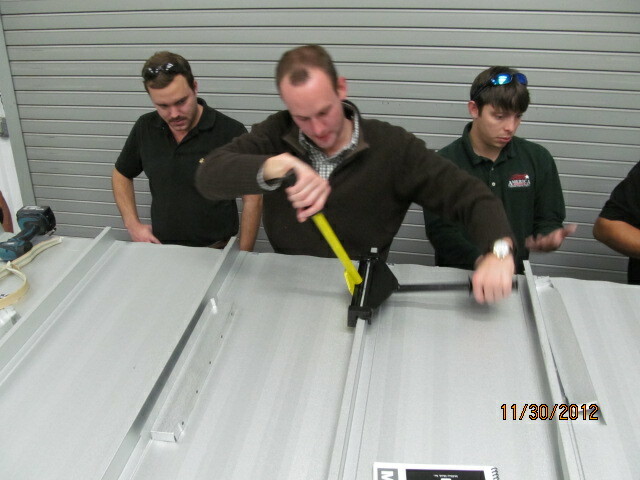 Our Standing Seam Installer Training course is designed for skilled installers of metal roofing products. If a company wishes to send an employee without the above prerequisite knowledge, McElroy Metal strongly recommends that the employee receives adequate training from a qualified source before enrollment. If class is held in Bossier City, LA, the fee is $100 for the first person and $50 for others with the same company. If class is held in other locations, the fee is $500 for the first attendee and $450 for each additional attendee. 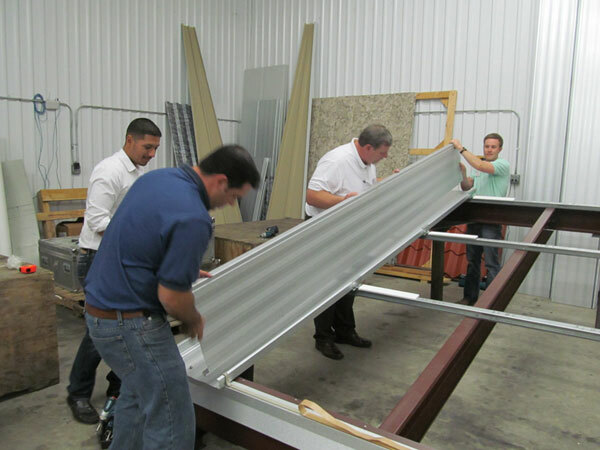 Companies participating in McElroy Metal's Standing Seam Installer Training are responsible for all their expenses relating to travel and accommodations. For any reason should a course be cancelled due to low classroom participation, each applicant will have the option of signing up to attend a future class. We will notify you prior to the class if any cancellation does occur. McElroy Metal is not responsible for non-refundable expenses such as airfare, hotels, cancellation/transfer fees or any other expenses.